There’s no worse feeling than returning to your seemingly safely parked car, only to find that it has been damaged. Perhaps another driver has crashed into it and caused significant damage, or it’s minor damage such as a broken wing mirror – either way, it’s expenses for your vehicle that you weren’t expecting. 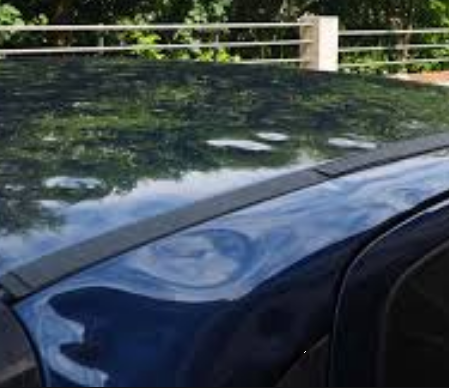 In some cases, the other party may have been responsible enough to leave their details on your windshield so that you can get in touch and deal with the situation through their insurance company. But if they haven’t, you’re on your own. So, what should you do? Most insurance policies require you to inform the insurer of any damage to your car, regardless of who was at fault and whether or not you plan to make a claim. So the first thing that you should do is tell your insurer what has happened; they will be able to offer some advice on the next best steps to take, and if you have a fully comprehensive insurance policy, you may be able to make a claim to cover the cost of any repairs. If there is CCTV in the area where your car was parked, you may get lucky and be able to find footage of the third party damaging your car. Ask around in shops and other establishments nearby to see if there is any footage that could provide you and your insurer with any proof of what has happened and if possible, who was responsible. If you can find footage that’s clear enough to show a car’s registration plate, your insurance company may even be able to find the contact details of the other driver. Before making a claim with your insurance company, it’s a good idea to get some repair quotes to work out whether or not it’s worth putting a claim in and dealing with the premium rises that this can cause in the future. Check out these Tampa auto body shops that deal with a wide range of repairs from minor to major damage to your vehicle. In many cases, for example, if it’s just a small dent or a damaged wing mirror, it’s much cheaper and more convenient to have it repaired privately. Or if you’re going to claim on your insurance policy, having a quote ready can prevent them from writing your car off. Last but not least, often seemingly cosmetic damage can cause unseen problems with a car, particularly if there was impact around the engine area. So it’s a wise idea to have your car fully checked by an experienced mechanic who will be able to let you know whether there has been any internal damage caused, and whether or not your car is still safe to drive. Although cars are usually safe when parked in a designated parking spot, anything can happen. So, it’s good to know the steps to take if you unexpectedly find your car damaged.